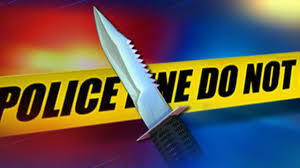 A fight over a parking space in Elk Grove last night escalated becoming a stabbing resulting in non-life threatening injuries. At approximately 6:15 on Wednesday, February 1 Elaina Maxxizze Ward, 31, of Sacramento was a passenger along with three children in a car being driven by another person. When the driver pulled into a parking space, the victim approached the driver on foot. The victim and the driver began arguing over the parking space on Sheldon Road and East Stockton Boulevard and were subsequently involved in a mutual physical altercation. While the altercation was taking place, Ward allegedly exited the parked vehicle and approached the victim, pulled out a pocket knife and stabbed the victim twice in the arm. The victim suffered visible injuries that required medical treatment and the knife was used in the assault was recovered at the scene. Ward was arrested by responding Elk Grove Police officers and was booked into the county jail where she is being held on $60,000 bail with an arraignment scheduled for Friday, February 3.